The terrorist group al Qaeda in the Arabian Peninsula has confirmed the death of U.S.-born militant cleric Anwar al-Awlaki, calling him a martyr, according to a statement posted Sunday on jihadi internet forums. Al-Awlaki was killed by a U.S. drone strike in Yemen on September 30, but American officials said internet postings following his death indicated many who share his ideas did not believe he had been killed and were seeking confirmation. Another American named Samir Khan and two other people also died, officials said. Khan was the co-editor of the terrorist network's English-language online propaganda and recruiting magazine, Inspire. The AQAP "eulogy" states the while the United States killed al-Awlaki, it "cannot kill his ideas," according to an English translation provided by the SITE Intelligence Group, which monitors jihadi forums. The statement also picks up on a theme being discussed in the United States: whether the United States had the right to target and kill al-Awlaki without a legal trial and guilty verdict. 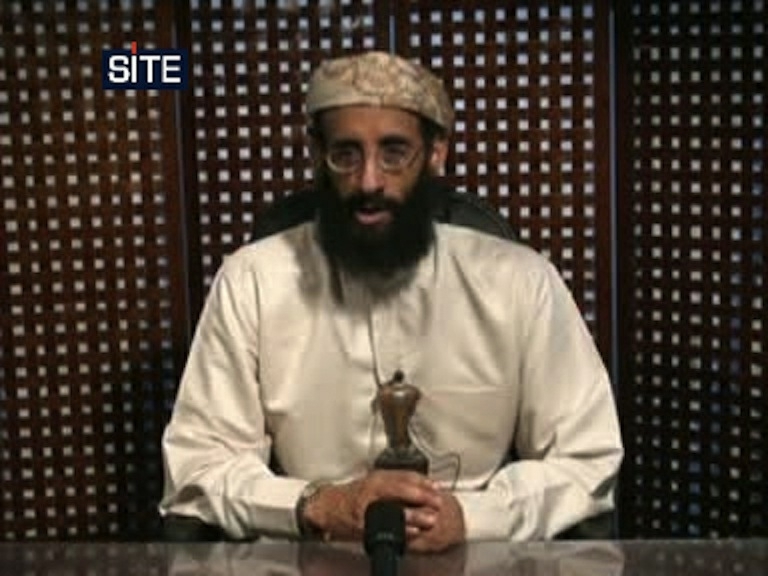 The controversy is complicated by the fact al-Awlaki was a U.S. citizen. The message said the United States killed al-Awlaki and Khan but "did not prove the accusation against them, and did not present evidence against them." The statement claims such actions go against the values the U.S. espouses. The New York Times reported Sunday that the Justice Department prepared legal guidance in the summer of 2010 which said the United States could kill al-Awlaki if it was not possible to capture him. In Sunday's message, AQAP also promised to "retaliate soon" for the deaths of al-Awlaki and the three others. The U.S. issued a "worldwide" alert earlier this month warning of "the potential for retaliation against U.S. citizens and interests" following al-Awlaki's killing. Born in Las Cruces, New Mexico, al-Awlaki lived in the United States until the age of 7, when his family returned to Yemen. He returned to the United States in 1991 for college and remained until 2002. During his stay in the United States, he served as imam in California and Virginia, and interacted with three of the men who went on to become September 11, 2001, hijackers, according to the 9/11 Commission report. He publicly condemned the attack afterward. U.S. officials say he recruited Umar Farouk AbdulMutallab, the Nigerian man known as the underwear bomber, who was charged with trying to blow up a trans-Atlantic flight as it landed in Detroit on December 25, 2009. The militant cleric is also said to have exchanged e-mails with accused Fort Hood shooter Maj. Nidal Hasan, who is accused of killing a dozen fellow soldiers in Texas.